QUEENS, NY — The rhythmic strumming of guitars and guitarrones played in unison could be heard throughout the bright and expansive basement of Saint Gabriel Church in Queens. 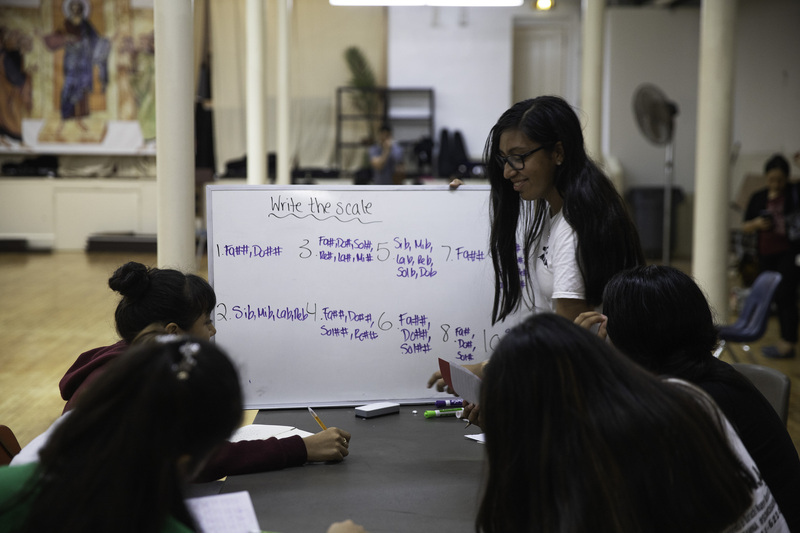 Several yards away from the group of guitar players, 16-year-old Dyana García stood in front of a whiteboard drawing a spiraling symbol. About a dozen kids sat carefully recreating García’s work in their notebooks. 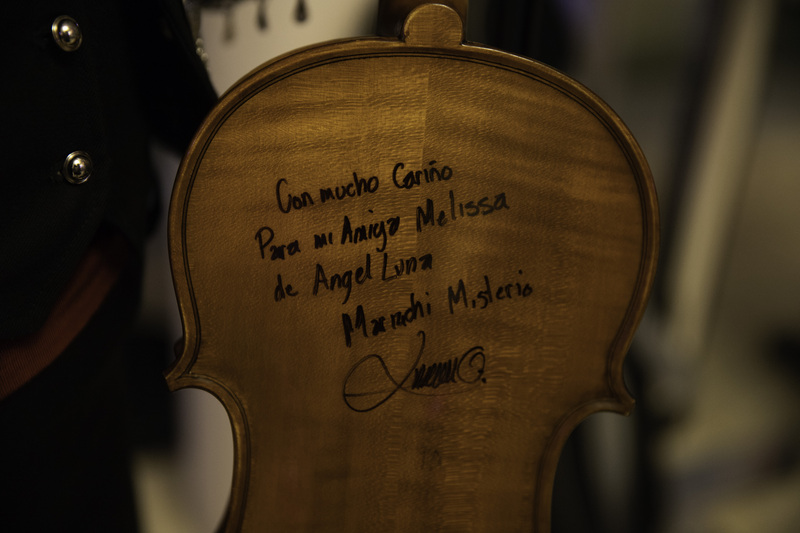 García is among the advanced students who help teach classes at Nuevo Amanecer Mariachi Academy. Every week she gives lessons on music theory and violin. She said she enjoys working with the other students. “I have met a lot of friends through the school,” she said. 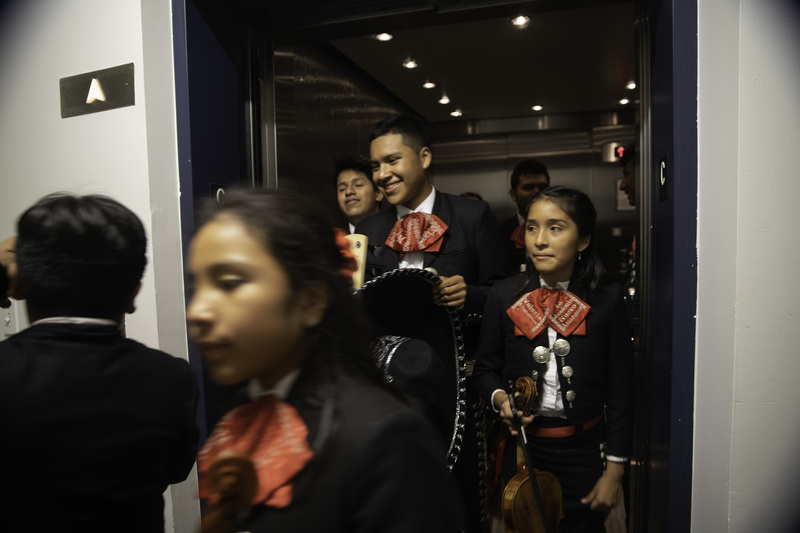 Interest in mariachi among Mexican-American youth seems to be growing as formal and informal music schools proliferate and some American high schools even have mariachi bands. But traditions are also changing. 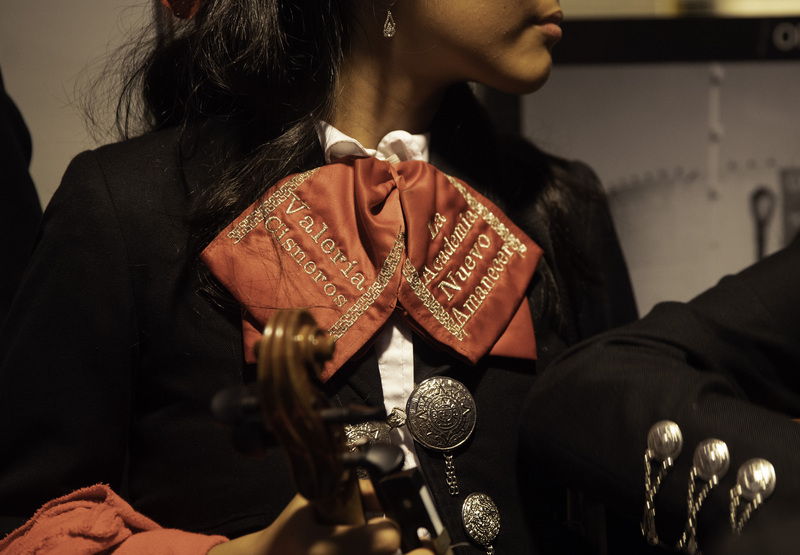 Mariachi, a genre that dates back more than 150 years, has been largely dominated by male musicians since the beginning. Today, this is changing, particularly in the U.S. 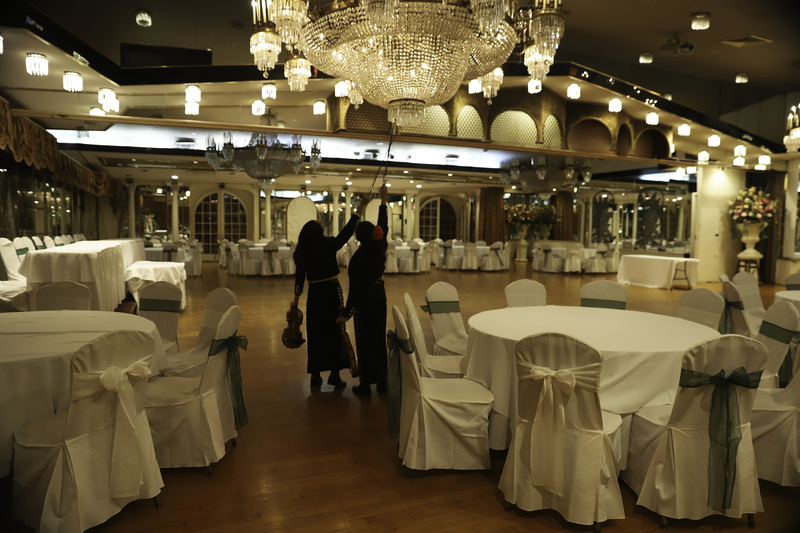 The academy’s founder, Valentin Martinez, started the school four years ago in East Elmhurst, Queens with the help of his wife, Rosa Uribe, and their friend, Alejandra Morales. At first, the school only had 15 students and four of them were his kids, who he admits to obligating to participate. Today, the school has expanded to also offer classes in Astoria and Harlem. Martinez said 60 students are currently enrolled at the academy, and half of them are girls. He said he welcomes the shift to include more women in mariachi. 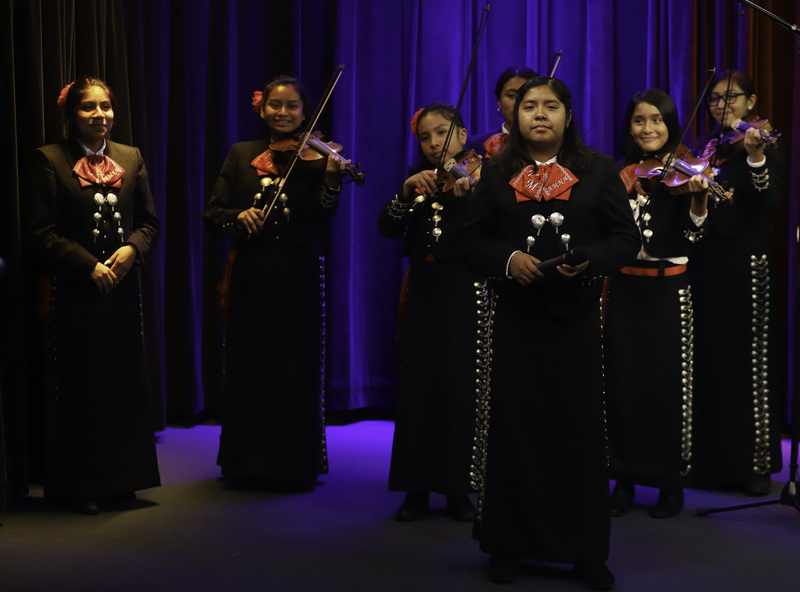 Two years ago, he and his collaborators had the idea to start the school’s mariachi femenil, an all-girls band. They selected the most advanced musicians to be part of the group. He said he wanted to encourage the female students. “The parents love to see their daughters be part of the project,” he said. Itzel Rodriguez, who is 14 and plays violin, was one of the first members of the all-girls band. She can still remember how Mexican music first captivated her attention. 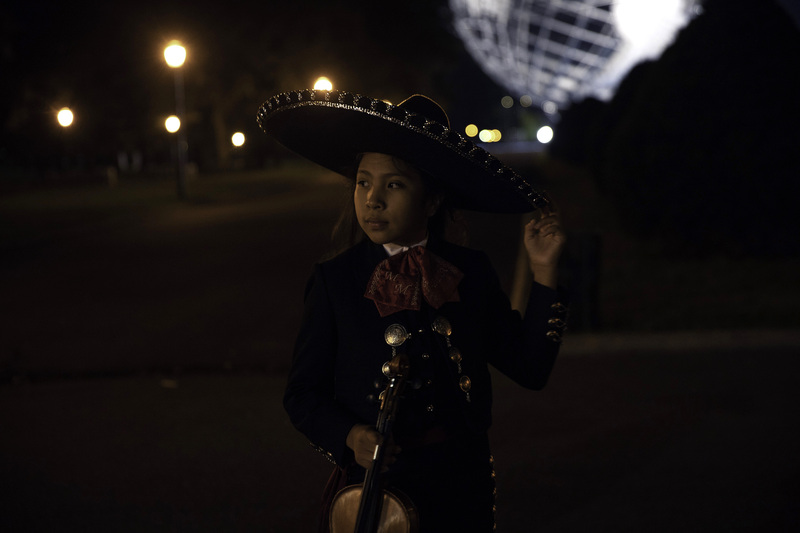 She was only six years old when a group of mariachis came to play at a party she was attending with her mom. Afterwards, she went home and started looking for mariachi songs online. “My mom would get mad because I would always sing in the shower, but that’s when she saw that I loved to sing,” she said. 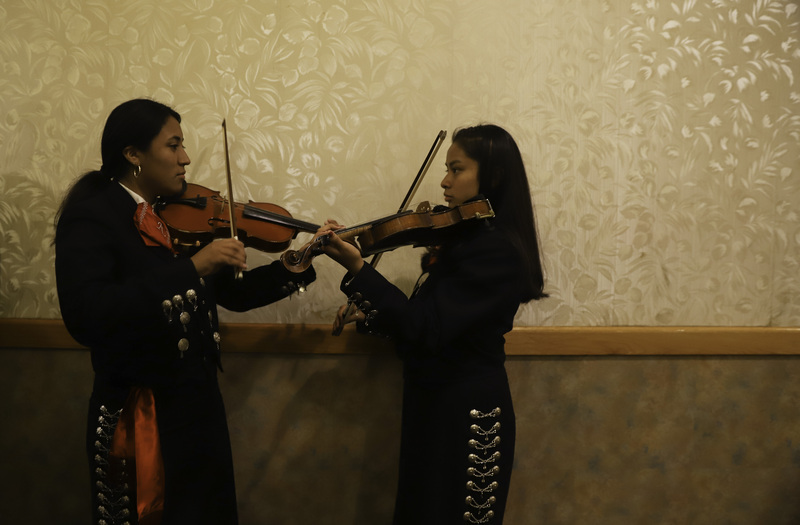 Joscelyn Valdez, who is 17, and also plays violin in the all-girls band, said she thought not many other mariachi schools had formed bands specifically for girls. “I feel like that is something that really makes us stand out,” she said. Valdez said that kids her age have a different mentality, “We are trying to open up more opportunities for women,” she said. 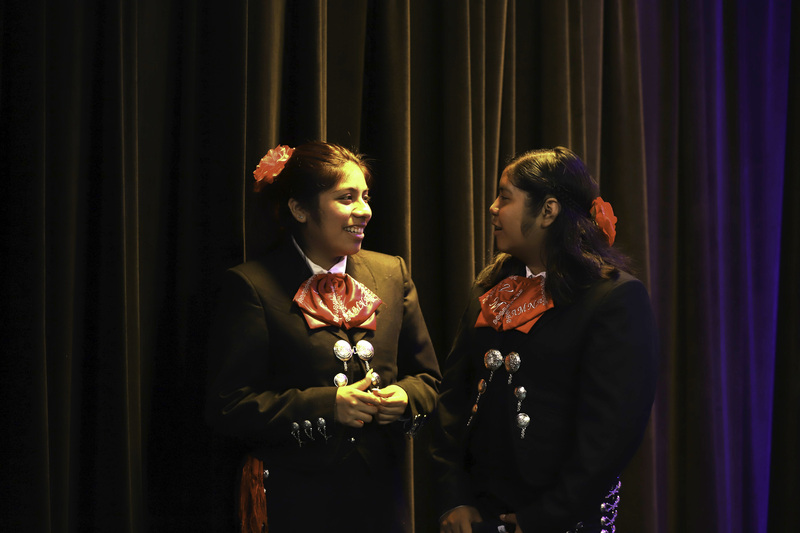 For Valdez and Rodriguez being a girl in the mariachi genre may be a break from tradition, but at the same time it’s a way to embrace their heritage. Rodriguez said a lot of Mexican kids growing up in the U.S. are letting their culture slowly fade. “They are Mexican, and they don’t even know what a mariachi band is,” she said. Martinez said he believes mariachi music is actually more popular among Mexican immigrants in the U.S. than it is in Mexico. “People care more about it because they miss their country,” he said. Part of Martinez’s vision for the academy is that it will help preserve Mexican culture and pass on traditions to the next generation. 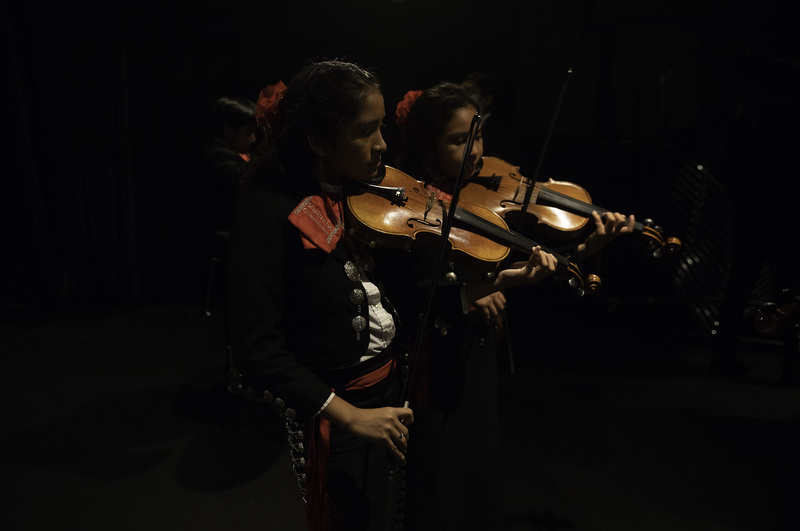 Back at music practice, a group of girls sat together with sheet music for the song “No Me Se Rajar,” balanced on their knees, or propped up in their violin cases. “Relax your wrist,” said Alvaro Paulino, a fifth-generation professional mariachi musician who teaches at the academy several days a week. He demonstrated what he was looking for. “You don’t want to sound too stiff,” he said. Paulino said when he was growing up in Brooklyn, there were no mariachi schools. He added that in the past, perceptions of the genre were more negative. Some people thought of mariachis as drunks and they didn’t want their daughters to participate. But mariachi is growing and changing in the U.S. and so is the way it’s perceived.